Former Hastings resident, Beverly “Bev” June (Buscher) Clay, 65, passed away peacefully on November 22, 2018, at Baylor Hospital in Plano, TX. A Celebration of Life ceremony will be held Saturday, April 6, at 1:30 p.m. at Livingston Butler Volland Funeral Home Chapel with Rev. Steven Peeler and Pastor Dale Phillips officiating. A reception will follow the service. A private burial will be held at a later date. In lieu of flowers, memorials may be directed to Mary Lanning Healthcare Home Health, or to the family for a memorial in her name. The family welcomes guests to wear blue (Bev’s favorite color) when you join us in our Celebration on Saturday. There will be no viewing or visitation. Bev was born to Lester L. Buscher & Lorene R. (Enninga) Buscher on June 11, 1953, in Fort Smith, AR where her father was stationed while in the service. Bev’s family relocated to the family farm northeast of Hastings in 1954, where she attended District 33 Grade School and graduated in 1971 from Adams Central High School. 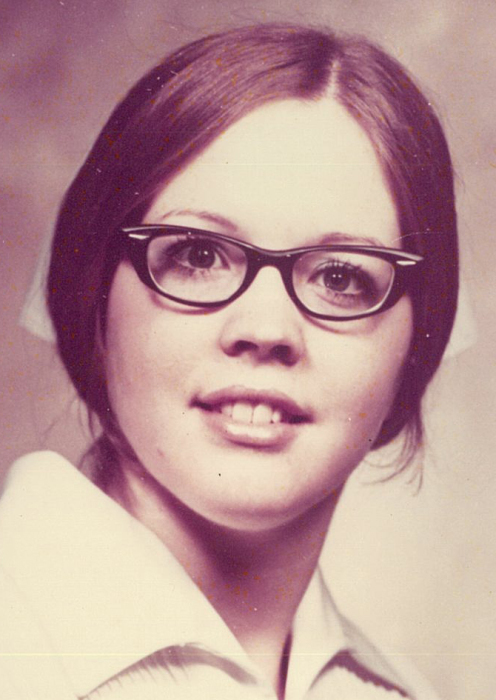 Bev answered her calling to be a nurse where she attended and graduated from Bryan School of Nursing, Lincoln, NE, class of 1974. For 44 years, she worked as a patient advocate and lovingly tended to hundreds of patients in hospitals, home health settings, and rehab centers. When the need arose, she would take a sabbatical from work to care for her ailing loved ones. She was a deeply caring, kind, and genuinely empathetic person which not only made for an outstanding nurse but a wonderful friend to all who knew her. During her short 65 years with us, she had a full life of accomplishments. She proudly helped pioneer and develop a Home Health service in Kearney County. Bev and her “Raspberry” color Ford Pinto covered thousands of miles during her 19-year career as a Home Health Nurse in Kearney County. In 2000, she shared her talents with the residents of Arkansas when she relocated there with her loving partner, Lloyd Lowery. She lived an exemplary life filled with compassion and courage. Throughout her life, her faith, patience, and nursing skills were best utilized and tested when caring for those close to her. She tended to her father, husband, and brother during their final months on Earth, and most recently, lovingly cared for her mother, Lorene, in her home in Hastings. While in Hastings, she was active in the Hastings Community Theatre, and in 2016 worked at Good Samaritan Village, Hastings Campus. Bev also had a strong passion for nature, gardening and all of “God’s Creatures”. She never met a stranger, and her smile could light up a room when she walked in. She truly was an Angel among us! We will miss her, but we know she is WHOLE in heaven; watching down on us and guiding us daily. Bev was preceded in death by her father, Lester L. Buscher; her loving partner, Lloyd Lowery Sr.; brother, Darwin Buscher; and nephew, Jon Buscher. She is survived by her mother, Lorene Buscher of Hastings; brothers, Dean (Micki) Buscher of Hastings and Kevin (Gwen) Buscher of Durango, CO; nieces & nephews, Eric Buscher, Drake and Breaunna of Omaha, Jonathan (Jenna) Byers, Leila and Marcus of Durango, CO, Alison (Matthew) Micah, Olivia, and Cameran Moseley of Plano, TX; several aunts, uncles, cousins, and many friends.